Named “purple isle” by its first inhabitants, Islamorada is undeniably captivating. A narrow spit of land surrounded by turquoise waters teeming with marine life, this key embraces the harmony between man & nature. 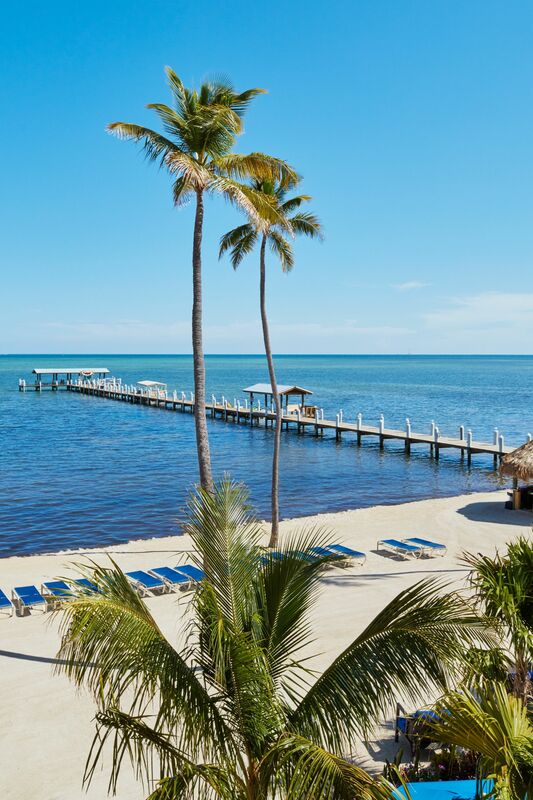 Against this backdrop, Cheeca Lodge is a top choice in Florida Keys family resorts, offering a tropical retreat for those looking to escape. 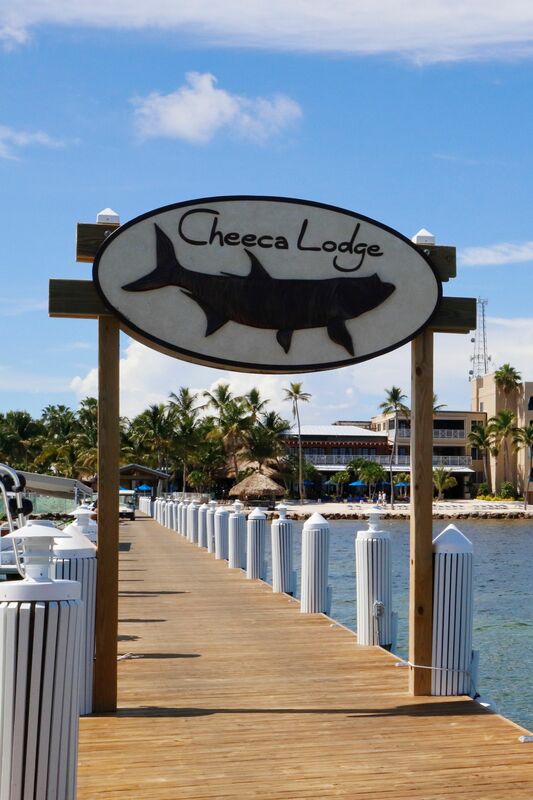 Setting the standard for luxury amongst Islamorada hotels, Cheeca Lodge is the ideal destination for every getaway. Welcome to the height of luxury. 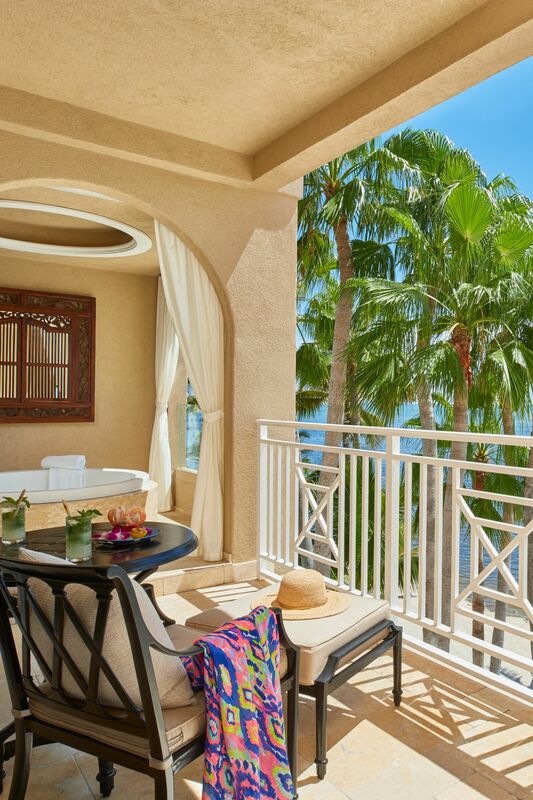 Our spacious guestrooms and suites offer a hub from which to explore all that our resort has to offer. Indulge yourself with amenities such as pillow-top mattresses, luxury bath amenities, plush bathrobes and more. Read more about our luxury rooms and suites in Islamorada. 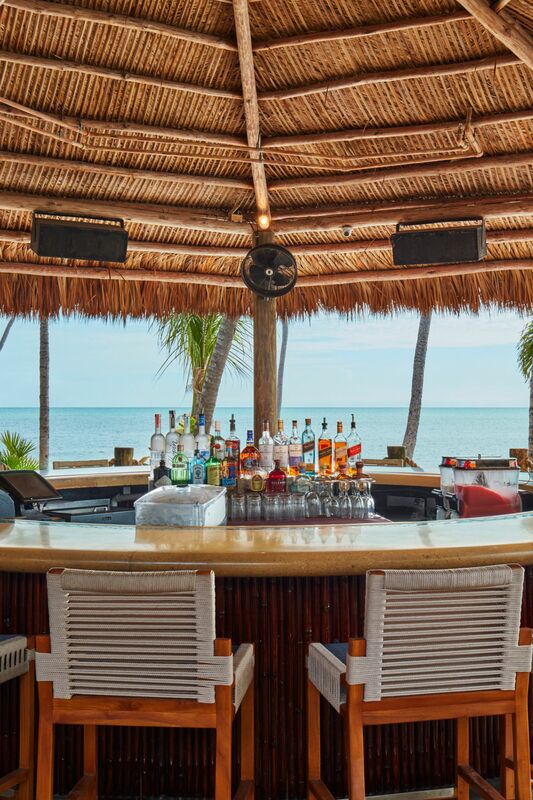 Cheeca Lodge & Spa is home to three world-class restaurants as well as an open-air Tiki Bar, all with sweeping views of the Atlantic Ocean and the choice indoor or outdoor seating. From pan-seared hogfish and Guava-glazed Mahi at Atlantic’s Edge to wood-fired pizzas & house-made pasta at Limoncello to the freshest sushi served at an intimate twelve-seat bar at Nikai, the dishes at Cheeca Lodge are sure to appeal to every palate. We can even cook the fish you caught that day for the freshest meal imaginable. Read more about dining at Cheeca Lodge & Spa. Known as “The Sportfishing Capital of the World,” Islamorada attracts anglers from every corner of the globe. Come discover the fascinating world below the surface, home to over 500 species of fish. Whether you want to charter a boat in search of a trophy sailfish or cast a few lines off the end of our pier, Cheeca Lodge can help you coordinate the fishing trip of your dreams. Read more about fishing in Islamorada. Go beyond the boardroom and plan a meeting in a place that brings everyone together. Cheeca Lodge offers exceptional meeting space for your events as well as the services and amenities to make it a success. Between meetings, hit the links, schedule a pampering massage, take a sunset cruise, go snorkeling, or partake in any number of activities that will create an unforgettable experience as a team. Read more about our meetings services. A pristine ribbon of white sand, complemented by turquoise waters, is the perfect backdrop for intimate wedding ceremonies. The day you’ve been dreaming of deserves nothing less than our best, so we offer an exceptional event planning staff, matchless catering and superior accommodations for your guests. If you prefer to be inside, the Bougainvillea Ballroom features elegant details for a stunning venue. Read more about destination weddings at Cheeca Lodge & Spa, the top wedding destination among Islamorada hotels.